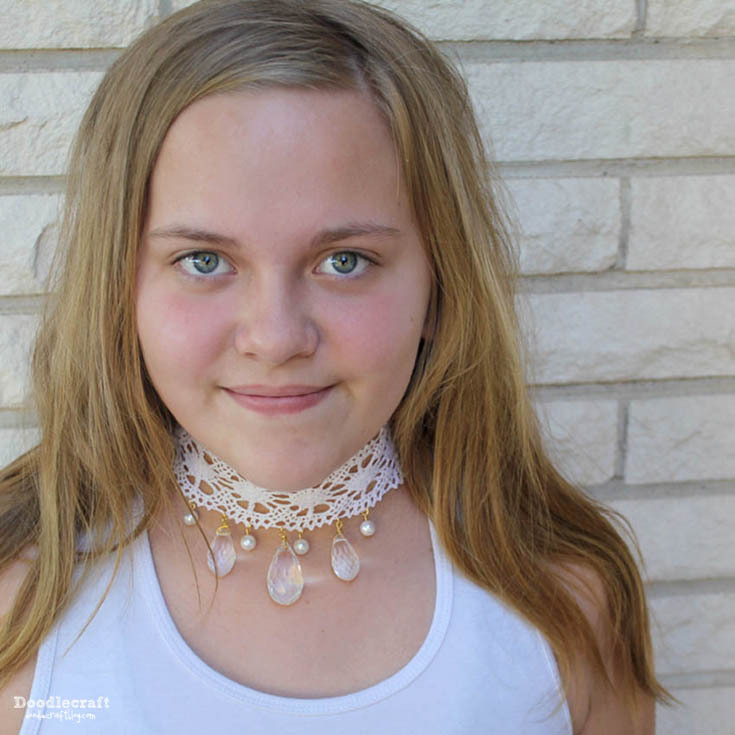 Doodlecraft: Lace, Pearls and Crystal Choker! Lace, Pearls and Crystal Choker! Use the jewelry pliers to clamp down on the end of the lace. Put an eye pin through the teardrop bead. Wrap the extra eye pin around itself. This is a great trick for tricky beads! Attach the largest teardrop to the center of the lace with a jump ring. Repeat for the 2 smaller sized ones. I used a pin for the pearls and formed a loop with the excess pin. Now add a length of chain on one end and the toggle clasp on the other end. I love great DIY statement necklaces!